It’s an unavoidable fact: To succeed in business today, you need to take control of your company’s online reputation, a good portion of which is dependent upon what kind of reviews show up when a potential customer does a Google search of your business. While there is no reason to panic if your company has a handful of negative reviews, you should do your best to quickly mitigate any damage caused by unflattering reviews and take steps to remove reviews that are particularly harsh or slanderous. Why do I need to worry about negative reviews? 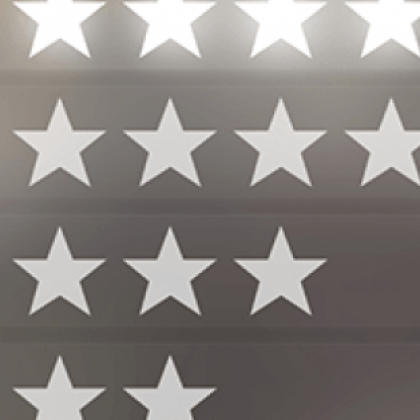 Bad reviews directly affect your business’ bottom line by driving away customers. According to a ReviewTrackers survey, 94 percent of consumers report that an online review persuaded them to avoid a particular business. This number is worrisome because a company’s online profile is now one of the main ways that people learn about it. In 2017, 93 percent of consumers checked online reviews when deciding whether or not to do business with a local firm. Online reviews also carry a lot of weight with consumers. Research from BrightLocal reveals that 85 percent of people value reviewers’ opinions as much as they would a friend or family member’s personal recommendation. Moreover, 40 percent of individuals would avoid a business because of a negative review. 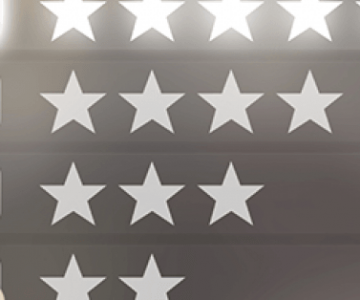 Besides turning away potential customers, bad online reviews can hurt your company’s SEO. In a recent survey conducted by Moz, online reviews accounted for up to up 10 percent of local search engine ranking decisions. Thus, having a number of poor reviews can cause your company’s website to appear farther down the page in a Google search. What are my options for dealing with bad reviews? Before you can begin to address your negative reviews, you’ll need to identify which ones are the most problematic. To accomplish this, you can do a number of Google searches for your company name and see what negative content comes up. When deciding which reviews to tackle first, you’ll want to take into account how high they rank in your search results. The higher on the page they appear, the more likely it is that a potential customer will read them. You should also look up your company on the most popular online business review sites, such as Angie’s List, Insider Pages, and Google My Business. Read all of your reviews carefully, searching for common complaints that you need to address or issues that you’ve already fixed. Is a single unhappy customer responsible for posting most of the negative comments? Are any of the reviews obviously fake? Once you’ve identified which negative reviews to target, you can decide how you want to manage them. You have several options: You can fix your business to solve the problem and avoid getting any more bad reviews, you can try to get the site to delete them, you can respond to them in hopes of resolving the reviewer’s complaint and getting them to revise their review, or you can publish so many positive reviews that you essentially drown out the negative voices. The best results, though, usually come from combining all four strategies. The first step is to see what you can do to address those common complaints. While you should only give so much weight to rude and abusive reviews, if the same problem keeps coming up, it’s likely affecting far more customers than just those willing to complain on the Internet. Find and address those problems before you do anything else; listening to your critics and acting accordingly is your most effective tool for preventing bad reviews on the Internet. It seems like such a simple solution: Just ask the website to delete the review! Sadly, eliminating bad reviews is never this easy. The problem is that, according to Section 230 of the Communications Decency Act, websites aren’t liable for what their users post. Whatever you do, don’t hire anybody who promises to remove content from review sites for you. Companies that promise to do this are most likely trying to scam you. Most people find that after they pay for bad reviews to disappear, the content keeps coming back, which means they end up having to repeatedly pay to keep it at bay. Review sites generally have a set of very strict guidelines (usually listed in their Terms of Service) for removing content. Often, the review has to be personally threatening or profane for a site to agree to remove it. Likewise, if you can demonstrate that the individual who wrote the content is actually a business competitor, someone you are battling in a lawsuit, or a fake reviewer, then the site will probably delete the content. 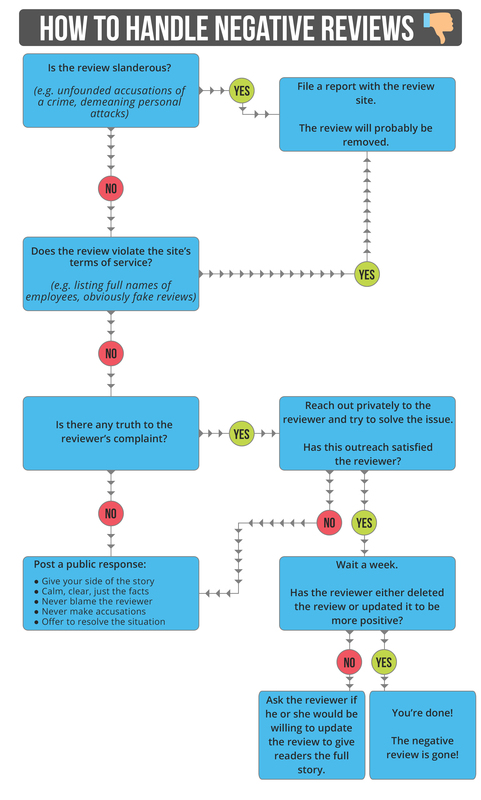 Remember, though, that the process for deciding to remove negative reviews is entirely subjective, and the final decision rests with the website. Therefore, there is no guarantee that the website in question will agree with you about the inappropriateness of the content. Reviews that sound calm and reasonable are extremely difficult to remove, regardless of how wildly inaccurate they may be. The member who posted it asks to have it removed. The issue the review describes is resolved as part of a Complaint Resolution. Angie’s List verifies that the review was fraudulently posted. Thus, your best bet is to contact the unhappy reviewer and work with him or her to resolve the issue. A surprising number of Angie’s List users will voluntarily remove their negative reviews if a business owner goes out of his or her way to correct the problem that led to the bad review. In fact, this is the number-one way to remove bad online reviews from Angie’s List. Additionally, making the reviewer happy might win you back customer who otherwise would have been lost for good. To remove a bad review on your company’s Insider Pages site, you’ll need to make sure that you’ve claimed the listing. If you haven’t yet created an account, you’ll need to do that first and then search the site for your company name. When you arrive at your company’s page, just click the “Claim Business” link. Once you’ve verified your account information, you can report a bad review as “abuse.” Simply go to the review in question and click the “Report Abuse” button. Insider Pages employees will then look at the content to see if it violates the company’s Terms of Service. If it does, then Insider Pages will delete the review. If not, then the review will remain. There is little you can do to dispute the site’s decision. This is why it’s vital that you look into other ways to address the negative review. Insider Pages offers business owners a way to respond to reviews, and doing so is a great way to not only resolve the disgruntled customer’s issue, but also show potential customers that you are a professional who cares about your customers’ satisfaction. To post a response, just click “View/Update Business Profile” and then click “Respond to Reviews” at the bottom of the page. When you are done with your response, click “Update Response.” Bear in mind though that the site doesn’t let you respond to reviews from Citysearch users. Google My Business reviews are notoriously difficult to remove. However, the site does offer a way to flag reviews to bring them to the attention of Google employees. If the review violates the site’s policies regarding Prohibited and Restricted Content, then Google will delete it. Simply select “Reviews” from the My Google Business menu, find the review you want to flag, and click the three vertical dots menu. Finally, click “Flag as inappropriate.” This last item will be “Flag review” if you are using the mobile app. Regardless of whether you end up flagging a bad review, the best approach for dealing with negative Google My Business reviews is to quickly and calmly respond to them. To do so, you must first verify that the business is yours. Your next tool is to simply respond to reviews. Especially for sites that refuse to delete bad online reviews, replying to a review can be a powerful tool because it turns a one-sided view of your business into one where a potential customer can see both sides of the problem. Use common courtesy. Being polite forces the critic to also be polite; especially if there’s a rude review, it will force a contrast between the raging critic and the polite business owner. If you are at fault, apologize and see what you can do to resolve the situation. Often, demonstrating that you’ve heard their complaints and that you care can do a lot to excise a bad review. If there’s another side to the story, lay it out clearly and concisely without blaming the critic. Making the critic aware of information he or she may not know (or pointing out information they’ve purposely left out) helps mitigate a bad review. Never make legal threats or “out” the critic under their real name; doing so can get your response removed, and legal threats are empty anyway. Another highly effective tactic for dealing with negative reviews is to simply force a contrast between a handful of bad reviews and a flood of good ones. Encourage your customers to review you on websites by including links on your website, in your social media presence, and in your email signatures. Post signs asking those with a positive experience to review you online and those with a bad one to come see you personally to talk about it. The flood of positive reviews will often be a powerful counter to even the most vitriolic critic. In addition to generating positive reviews, it’s a good idea to create other content that will rank higher than your negative reviews in a Google search results page. This content can include social media posts, articles, or listings on business websites. How do I keep negative reviews from affecting my business again? Don’t assume that you can ignore your company’s online reputation after you have successfully addressed your bad reviews. You will need to continually monitor your search results to stay on top of any negative content. If you need help dealing with negative reviews, contact ReputationDefender for a free consultation. We’ll help you build up a positive presence online to counteract even the worst review. In the end, you should be the one in charge of defining your company’s reputation, not strangers on the Internet.